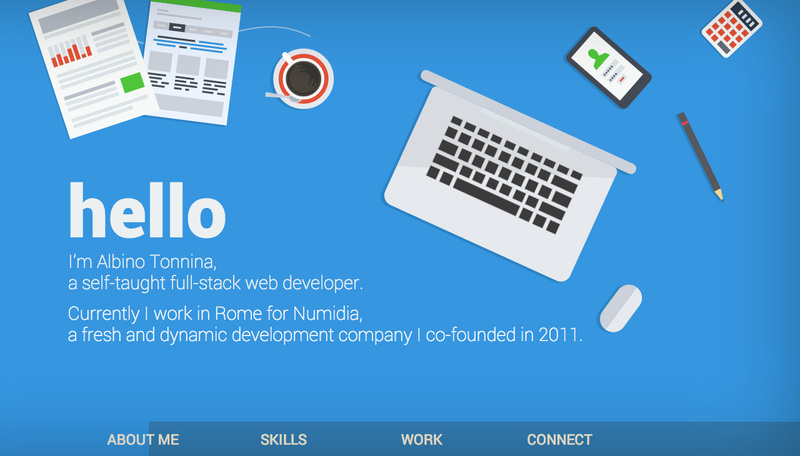 Italian Web Developer, Albino Tonnina, brings us his unique colorful One Page portfolio that animates as you scroll down. It really is impressive but I feel to experience the site best you need to scroll veeery slowly and also view only on medium size screens. Lots of effort in here and worthy of a feature. I used several great tools and I uploaded the project on github! Yeoman, Grunt and Bower. Then skrollr.js, Move.js and skrollr.stylesheets for the animations.